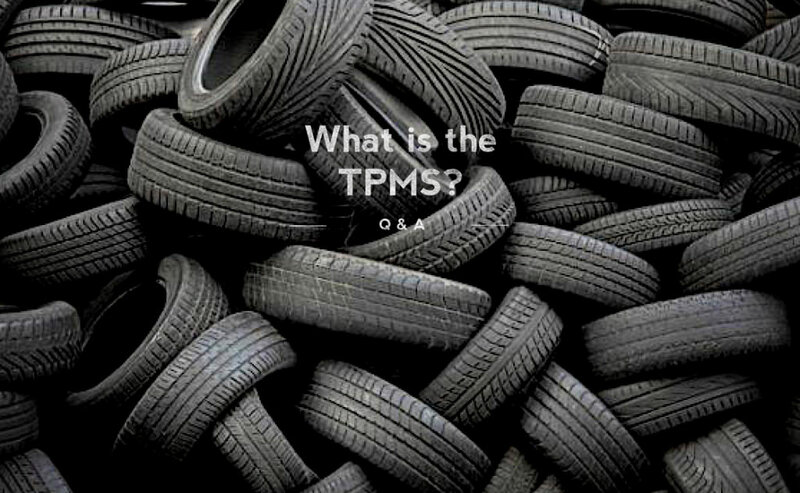 Q&A: What is the TPMS in My Car? TPMS stands for Tire Pressure Monitoring System. It’s a safety system built into your vehicle (or retrofitted) that monitors your tire pressure, and alerts you when the pressure in one or more tires falls to an unacceptable level. Are underinflated tires a big deal? Under inflated tires are susceptible to a variety of problems, from premature wear and increased fuel consumption up to tire failure, including tread separation and blowouts. According to Schrader, a leading manufacturer of tire pressure monitoring systems, under inflated tires wreak a staggering amount of havoc on our nation’s roads and highways, contributing to 250,000 crashes, 33,000 injuries, and 660 deaths every year. I has been argued that once all vehicles are equipped with TPMS, as many as 120 fatalities and 8,500 crash-related injuries could be prevented each year. On top of that, under inflated tires waste 12 million litres of gas every single day. The less pressure in the tire, the more surface contact there is, the more friction is created, and friction means more work for your engine and increased fuel consumption. The Tire Pressure Monitoring System is not a manufacturing requirement on new vehicles sold in Canada, however. There is no federal regulation that prohibits disabling the TPMS system on vehicles, as vehicle use falls under provincial and territorial jurisdictions. Transport Canada encourages proper tire maintenance because it improves fuel economy, extends tire life, and reduces exhaust emissions that contribute to environmental and health problems, so there may be regulations regarding TPMS in the future. Many passenger cars and light trucks model year 2008 or newer have tire pressure monitoring systems. If your vehicle is TPMS-equipped, a warning light or other display will alert you when one or more of your tires falls below its recommended pressure, as stated on the vehicle’s door jamb placard. TPMS sensors will typically need to be replaced after 5 to 10 years of use, as the sealed batteries wear out. Timing varies due to use, weather conditions, and maintenance. New sensors have to be programmed into the vehicle’s onboard computer system with special equipment, and in most cases there is a charge for this service. Replacing sensors in their entirety can be an expensive proposition, but the general belief is that the safety and savings benefits of TPMS far outweigh the cost.